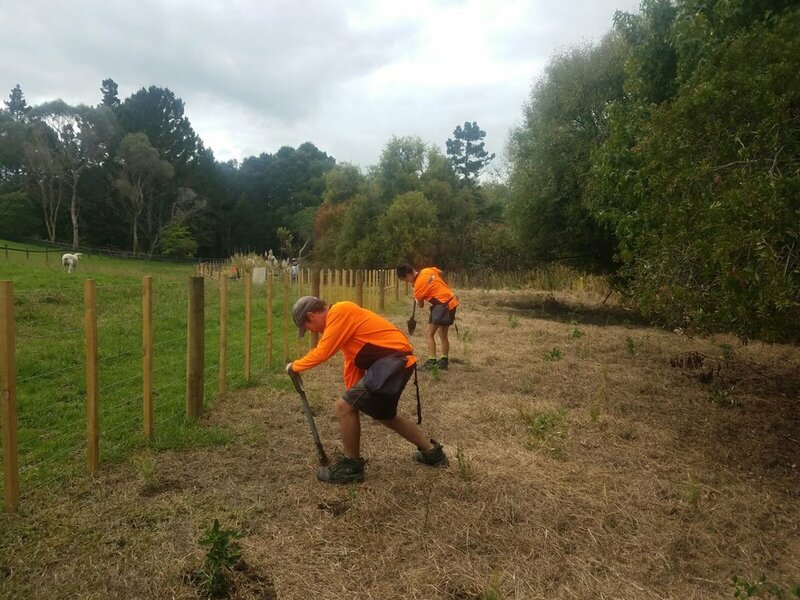 From a long experience working in the natural environment Rural Design Limited know that mammalian pests pose a serious issue to the health and establishment of naturally existing and newly planted native flora as well as native fauna. Rats, rabbits, possums and livestock pose a large threat to successful restoration work. Eradication/control are generally the landowner’s responsibility and it may be necessary to have a pest control program to achieve eventual canopy closure, high plant survival rates and maintenance of existing areas of native forest. One year of intensive control undertaken by Rural Design Limited will help reduce local pest numbers. Short term monitoring and maintenance can determine the course of future requirements. A possum (Trichosurus vulpecula) caught in a Timms Trap near the Dome Forest, which are both very effective for the control of possum and feral cats (Felis catus). A fine example of the natural regeneration of tawapou (Planchonella costata) a threatened species listed as at risk (NZPCN, 2018) growing in a coastal location north of Auckland. The ability of this species seeds to germinate relies on low rat numbers as the seeds are easily consumed by kiore (Rattus exulans), ship rat (Rattus rattus) and Norway rat (Rattus norvegicus). Rural Design is hard at work collecting seed for 2018 and the 2019 growing season. Ecologists Heath Worsfold and Jack Warden have been investigating seed collection of a New Zealand native vine. Puawananga ('flower of the skies') is a native woody climber in the Ranunculaceae (buttercup) family, best known for its very attractive white flowers. The plants produce either a male or female flower. The flowering of this species was also said to be an indication to Maori of the coming of spring and the harvest of tuna (eel).